March was another great month for side hustle income. I brought in nearly $1500 in March ($1498.61 to be exact). I brought in roughly the same amount in February. 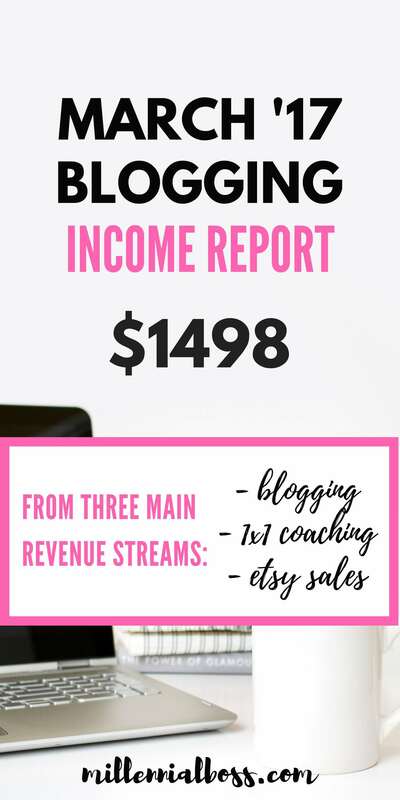 My revenue sources were blogging income, 1×1 coaching income, and physical product sales. Below I break down my income streams by category in more detail. Blogging is my main source of side hustle income right now. 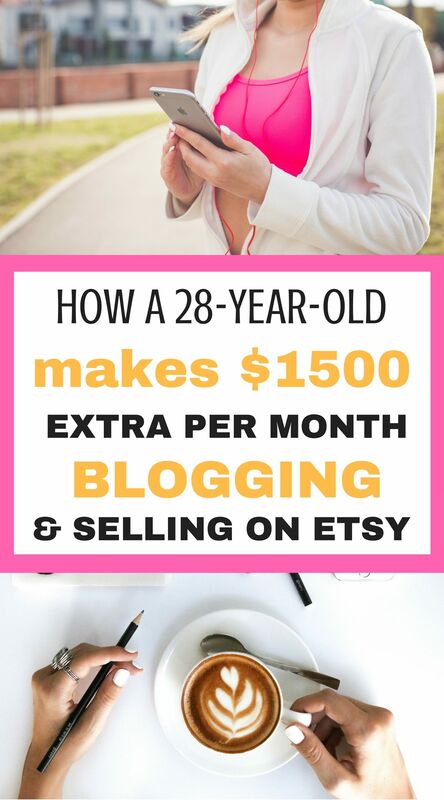 I’ve been blogging on different websites since 2012 but just figured out how to make money blogging this year. How Do You Know if a Conference is Worth the Money? Definitely the last post about taking radical responsibility was the most popular post this month. My income reports are always popular as well. FlexOffers is a consistent top earner for me. If you have a blog and are looking to start promoting products, I recommend you sign up for FlexOffers. Sign up here for FlexOffers if you want to give it a try on your site. They have all different categories of products on there. An example of one product I promote through FlexOffers is Personal Capital. I’m obsessed with checking my net worth and check the Personal Capital mobile app almost daily. It was a natural fit for me to promote Personal Capital on this blog. It’s also free to sign up for Personal Capital too so I feel good about promoting it. Sign up here for Personal Capital to start tracking your net worth. The products I promote through Shareasale did pretty well this month. One example of a product I promote through Shareasale is Studiopress. I purchased my blog theme through Studiopress after using a free theme for a long time. I’m glad I was able to recommend Studiopress to another blogger. It definitely helps conversion rates when you have a nice-looking theme. It’s also easier to maintain a blog using a paid theme because you get consistent upgrades and more support than with free themes. Check out Studiopress if you’re interested in upgrading your blog theme. I also recommend signing up for Shareasale and seeing what you can promote from their advertiser list. Sign up here for Shareasale. I was about 10 signups away from earning another $275 bonus with Ebates referrals. I’m super bummed! The period to earn the bonus ended April 1st so I missed out. In good news though, I did make $55 referring people to Ebates and I made an additional $35 in cash back from my own purchases (not listed in income here). Ebates is a cash back site and you can earn cash back on almost every online shopping site out there from Hotwire to Target to Amazon. I recommend signing up for Ebates to start earning cash back but also to promote it to friends. You don’t need to have a blog to promote ebates. If you can send three good friends your link, you can make $75 to start. You also get a $10 welcome bonus just for signing up. Sign up here for Ebates. (By the way – I learned last month that the language “Sign up here for X” with the “here” included as part of the link is the best way to increase conversions). I can’t forget to talk about Tailwind. I use Tailwind to pin over 50 images a day on Pinterest. I get crazy traffic from Pinterest and have Tailwind to thank. Sign up here for a free-trail of Tailwind. Also, read my tutorial about how I set up Tailwind because it can be confusing. I’m sure many of you could use an extra $1500 per month. I recently wrote a tutorial with screenshots as I was setting up my latest website. Check out my tutorial How to Start Your Own Site for the step-by-step-instructions on how to start a blog or website. 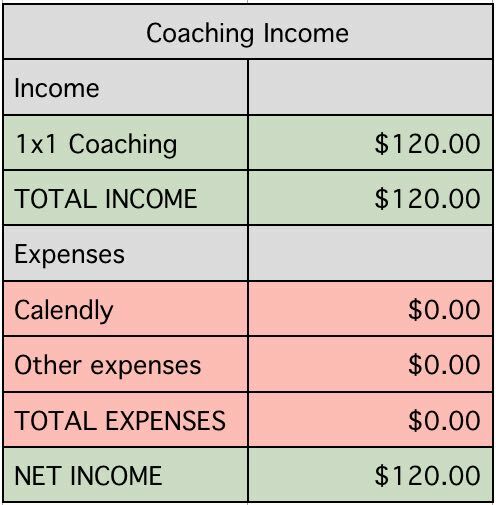 Coaching income was a little slower this month, which was probably good because I traveled almost every weekend. If you want to work with me, check out my coaching page for more information. I launched my physical product last month and sales started taking off this month. I promise I will reveal my product and write up all of the details soon! *Note, I already paid for the product in February so that cost isn’t included here. 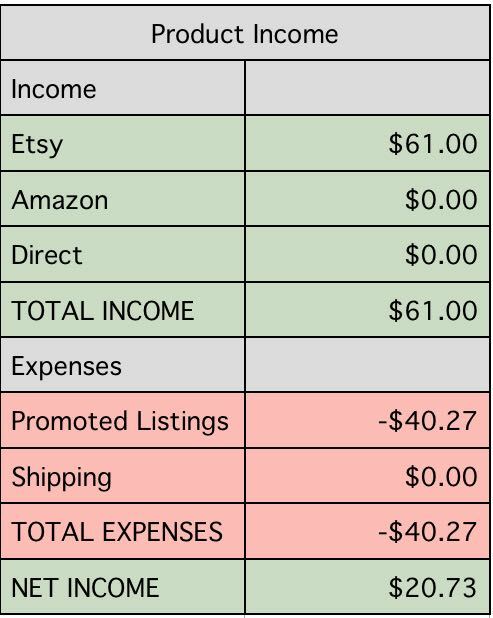 ** I stopped including shipping in my expenses because the buyer pays the entirety of the shipping cost. It’s not included in my revenue either. I’m only selling on Etsy right now and I find it very easy. I upload pictures of the product, create a listing with a keyword rich description, and wait for the sales to come in. This month, I started playing around with Etsy Promoted Listings to speed up the process. I spent over $40 this month on promoted listings. I am currently paying 30 cents per click for my top keyword. If my goal was to make a profit right away, I would be more stingy with the listings. I’m using this experience as a learning opportunity though so I don’t care. I also need to get early reviews on my products since my competitors in the space have 1,000 reviews. Spending more on listings now will pay off later. I’m probably going to play around with the listings for another month until I can figure out the right balance and get more reviews. We have an accidental rental property from when we moved out of state and couldn’t sell our house. If you’re thinking of buying a home, check out my list of tips for first-time homebuyers based on our experience. 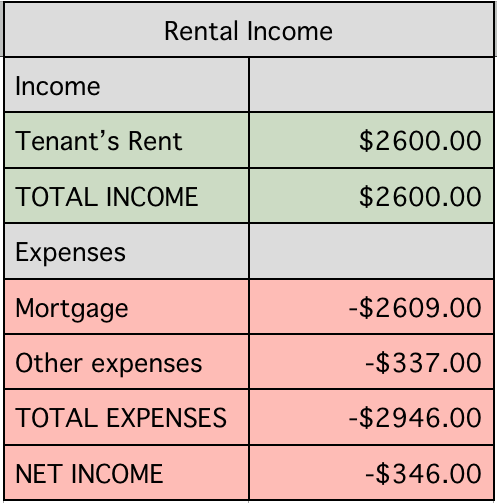 **I did not include the rental income in the $1500 total side-income this month. Our tenant called us and said the kitchen sink started leaking. At first it was just a drip but then he called us again and made it sound like the whole house was flooding. In the past, when the sink was clogged, we’ve asked a friend to come over and help us out. It sounded too big of a job for a friend. We called a plumber and they came over and fixed it for $337. Yay! The sketchy thing is that we couldn’t really tell “how bad” the leak was and the plumber was trying to get us to use them to fix the flooring too. Later, our tenants told us that the floor wasn’t damaged at all. I think people take advantage of you out-of-state. We don’t use a property management company because it’s a newish house and we didn’t want to pay the 10% and lose money every month. We’ve only had two problems with the house so far in the 6 months we’ve rented it out. Leave me comments below if you have any questions. These are awesome tips for earning extra money. 🙂 Thanks for sharing. wow these are so awesome! i really wanna start blogging full time reading this is inspiring! Thanks! I’m definitely not full-time but it makes you think of what could be possible for full-time bloggers. I hope to be able to grow my blog to be this successful one day! Thank you for the read! As someone who is currently trying to build 2+ side incomes, I really appreciate the breakdown! This gives me some hope! I always look forward to your income reports. Very encouraging! Fantastic results, congrats! Always so inspirational to see other bloggers making it so big, gives me the motivation to work on my own blog even harder! So thank you very much and keep up the amazing work! Thank you! Yeah, it feels good to get going with monetization.